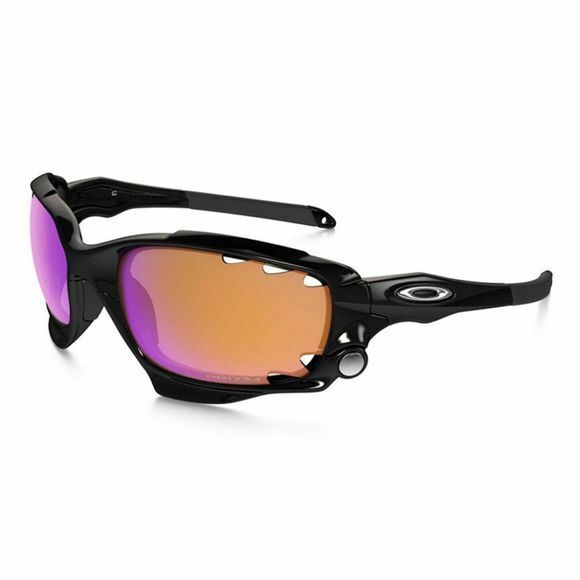 The sleek Oakley Racing Jacket Trail sunglasses make use of Switchlockâ„¢ Technology for fast and easy lens changes, so you can quickly adapt to the riding and weather situation on the go. 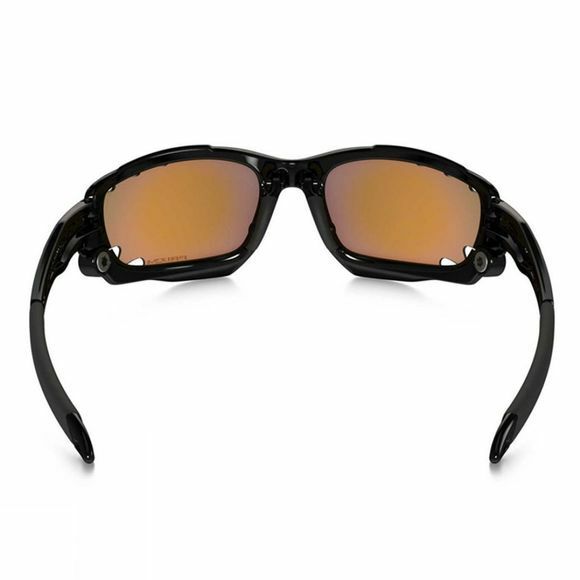 The Racing Jackets takes all the clarity, convenience and comfort of Oakley Jawbone and crank up style with icons you can change whenever the mood strikes you. And when G-forces strike you, the retaining strap makes sure the frame stays put. Thanks to cutting edge Prizm Road lens technology, the glasses are fine tuned to enhance the surface ahead of you so you can clearly see obstacles like rocks and roots for added confidence throughout your rides.